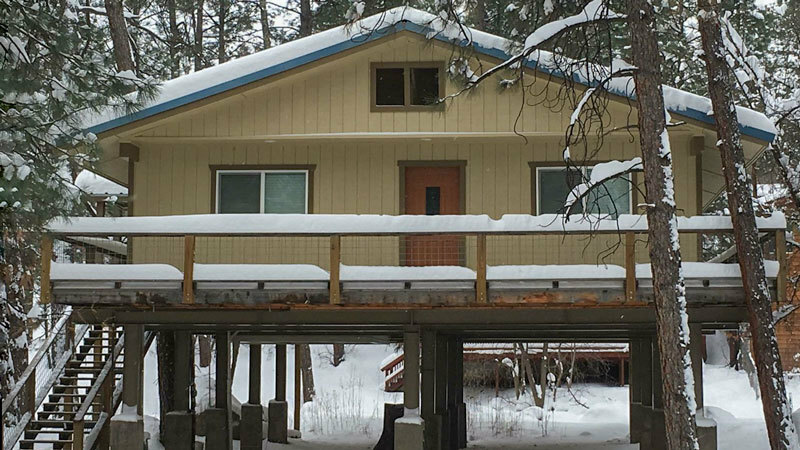 DESCRIPTION: The River View cabin is right on the river in a private cul-de sac in a valley just below Mid-Town. 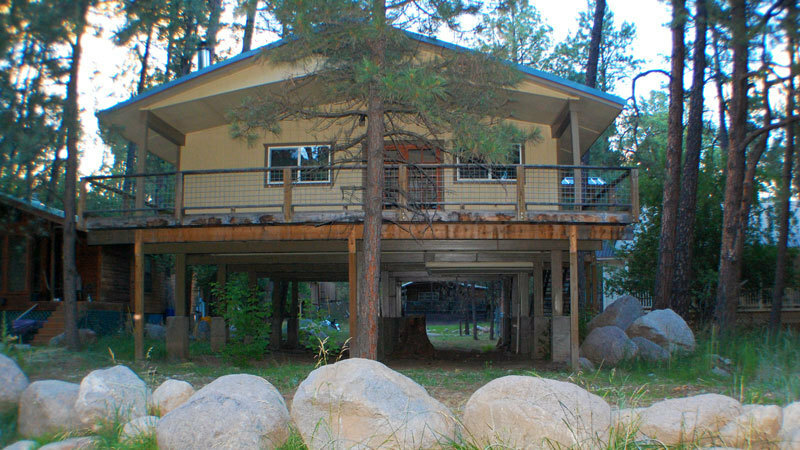 The cabin is raised from the ground so it has an amazing view of the river, and offers a covered parking area. 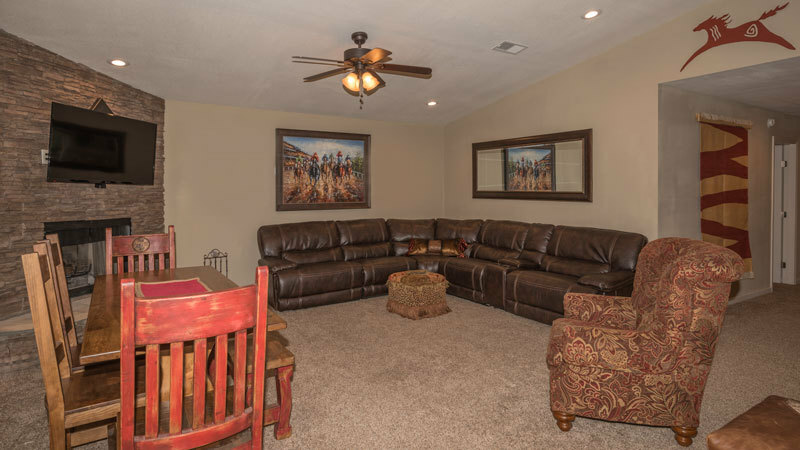 You are welcome to stop by Whispering Pine Cabins to enjoy the outdoor hot tub after a day of golf, skiing and other activities Ruidoso has to offer. 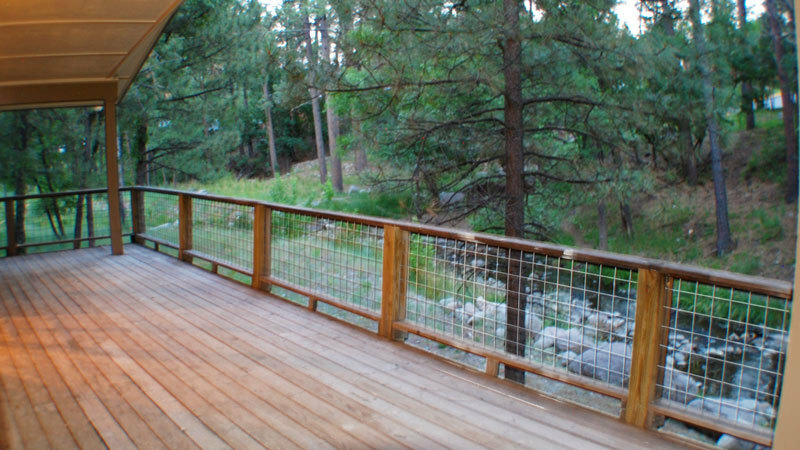 Walk out your back door to the Rio Ruidoso River for a relaxing nature walk or to catch dinner. 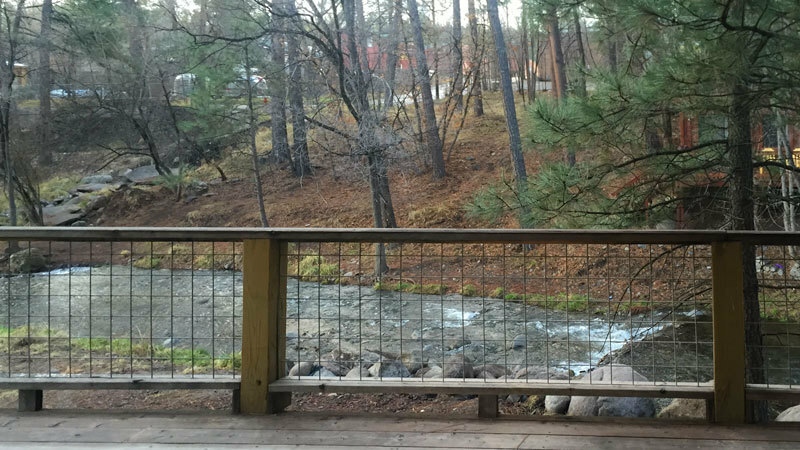 Let the sound of the river drift you away -Take in all the Wildlife from the comfort of your private deck – humming birds and many other bird species frequent the area – Deer roam thru the property and surrounding area year round and in the warmer months the occasional Black Bear can be sighted. 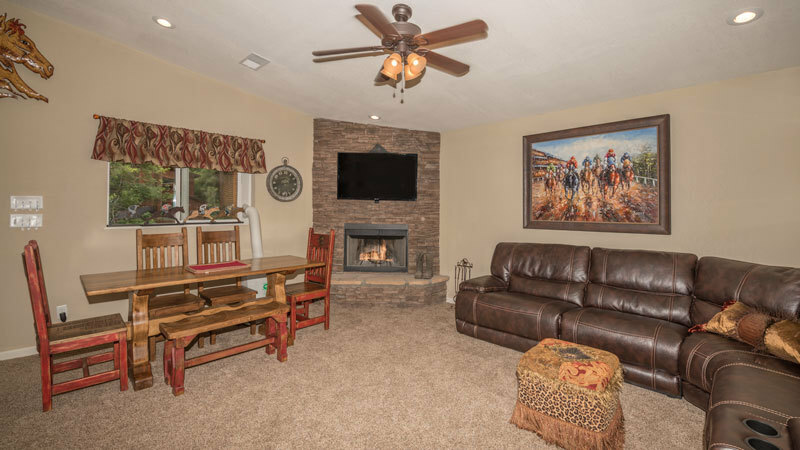 Settle in for the evening in front of the wood burning fireplace. 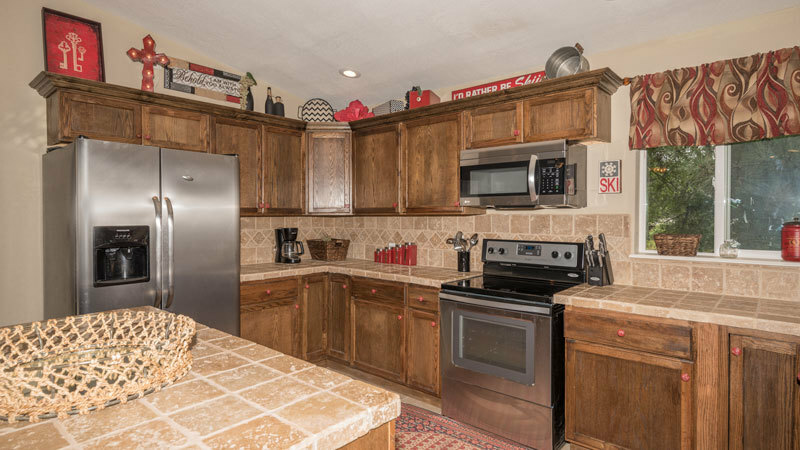 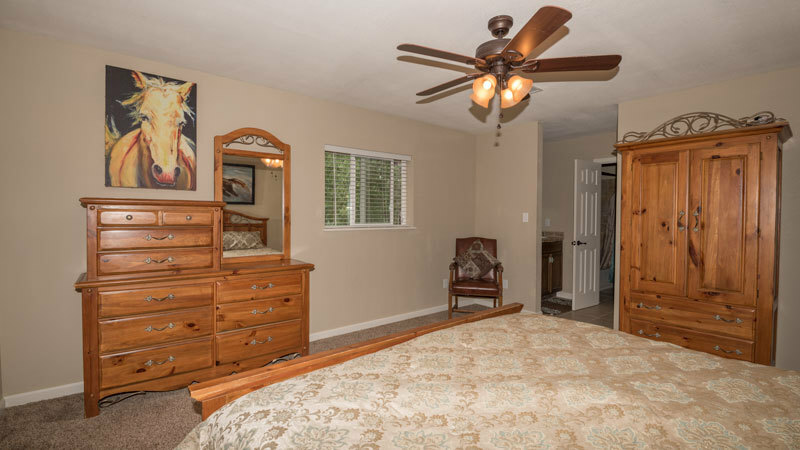 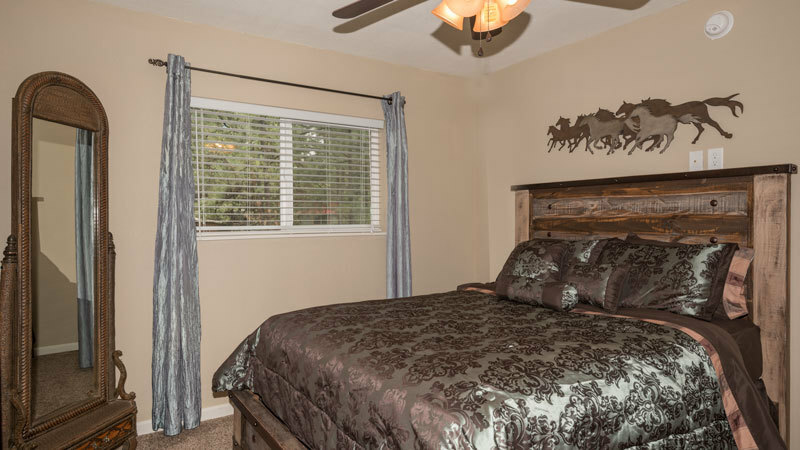 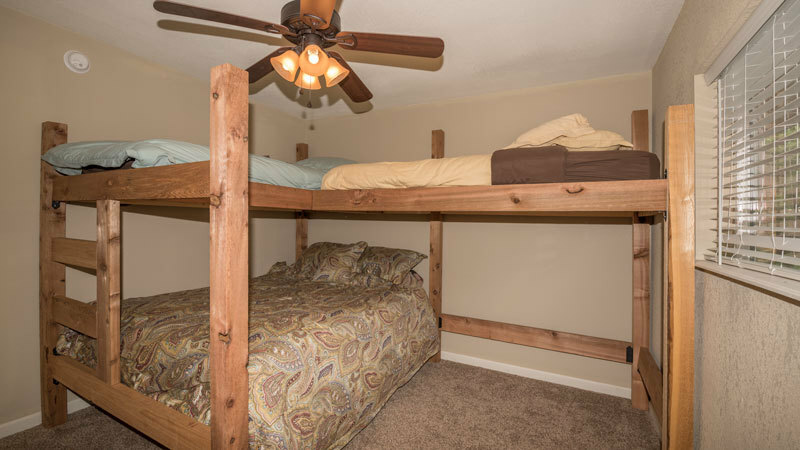 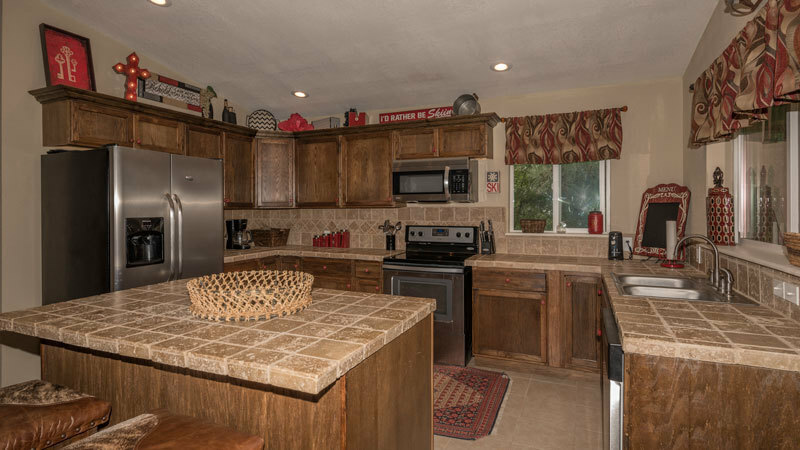 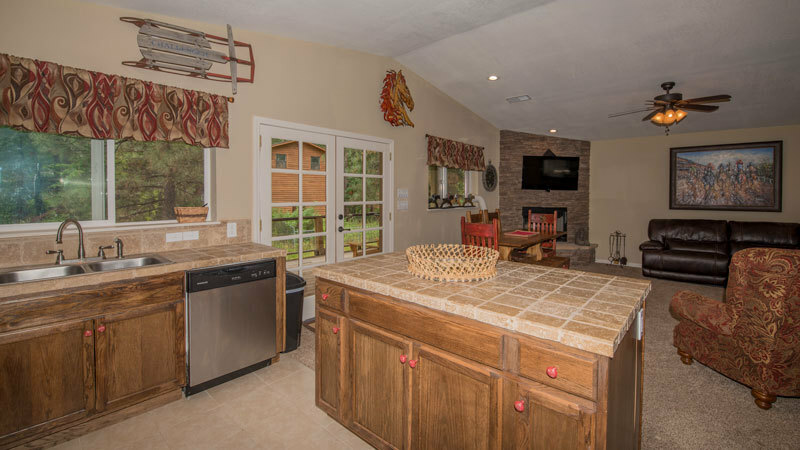 This cabin is in the perfect location – surrounded by the National Forest – but only minutes away from all Ruidoso has to offer.